Five years ago, a group of green rookies fresh out of the Academy started their careers with 15 Division -- one of the most elite units in the city. Now, as Andy McNally (Missy Peregrym) and her fellow officers enter their next year as seasoned pros, more resilient than ever, each day still continues to bring new surprises and revelations. 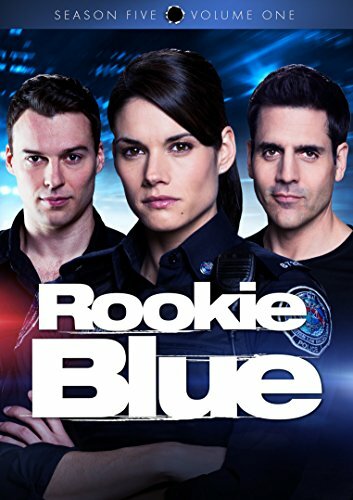 Rookie Blue: Season Five, Volume One , available exclusively on DVD from Entertainment One directly following ABC-TV's summer premieres, begins with two lives hanging in the balance: officers Sam Swarek (Ben Bass) and Chloe Price(Priscilla Faia), who've been shot in the line of duty. But life at 15 Division must go on, as the officers have sworn an oath to serve and protect, no matter the consequences. But as the shell-shocked men and women in blue struggle to pull the pieces of their lives back together, they can't help but wonder: will things ever work out the way they're supposed to? Rookie Blue is executive produced by award-winning Tassie Cameron ("Flashpoint"), Ilana Frank ("The Eleventh Hour", "Would Be Kings"), David Wellington ("The Eleventh Hour", "Would Be Kings") and John Morayniss ("Rogue", "Haven"). The series is a production of ICF Films and leading independent studio eOne, who also distribute it internationally.